Congratulations! You’re a Wall Street intern. You dropped off a résumé at your school’s career services center, aired out your big-boy or big-girl suit, earnestly nodded your way through an info session, aced an interview, and got an offer to be a summer analyst at a big New York bank. That, of course, is a lie. While a small subset of Wall Street interns may, in fact, work with experts on “real projects” (another Goldman promise), the vast majority will spend their summers sucking up to group heads, pulling FactSet data for financial models that never see the light of day, and trying not to make fools of themselves on the rare occasions they’re let out of the office. Pros: For interns at JPMorgan, Morgan Stanley, Bank of America, and Credit Suisse, the dormlike complexes of the East Thirties are close to work. They’re also close to the Holy Trinity of summer analyst hangouts: Brother Jimmy’s, Tonic East, and J-Tree. Many of your friends in finance will live and drink and vomit here. Cons: Soulless buildings, bad restaurants, Long Islanders who say “swag,” the wafting scent of Axe, every conceivable other thing. Pros: Close to Deutsche Bank, Goldman, and Nomura. 200 Water Street and 2 Gold Street are filled with young finance types, and some other buildings have fairly luxe amenities (not that you’ll have time to use them). Pros: Fancy lofts, doorman buildings, the possibility of taking home an actual status-conscious New York City woman (femininis meatpackicus). Cons: Only doable if you’re still on your parents’ dime. Pros: Good food, affordable if you look hard enough, Mario Batali sightings. Cons: Noise on weekends, Mario Batali sightings. Pros: Spacious lofts, kombucha on tap, boutiques you’ve seen on Girls. Cons: Far from midtown, may get you called “hipster” at work by MDs who only go to Brooklyn for Peter Luger. Pros: Cheap, centrally located, sparsely comfortable, access to the only Chick-Fil-A in New York. Pros: Free (or at least subsidized) and easy if your bank has it. Pros: You could find a lovely set of polite and industrious roommates, in a spacious and affordable apartment that gives you easy access to the treasures of the city while providing a sanctuary away from the office. Cons: This will not happen. Cons: A 90-minute return commute after a Thursday night at Fiddlesticks, which will feel even worse coming back the next morning at 5:30. 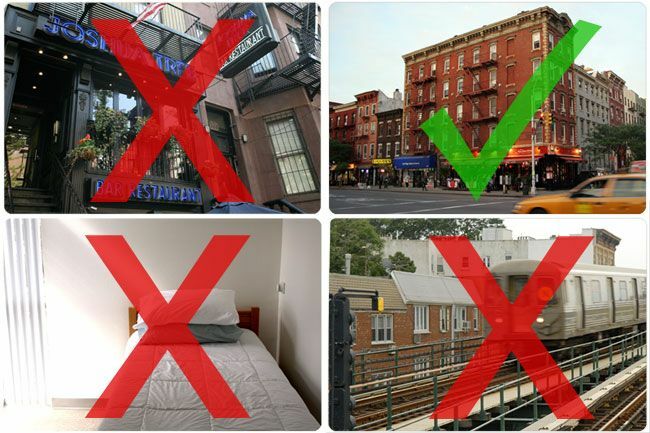 Our advice: If you can’t get into the NYU dorms, look on PadMapper or AirBnB for a short-term rental in Alphabet City or the Village — East first, then West. We promise, you’ll hate your life less coming home to a cozy studio on Second than to a five-person share after a 90-hour week, no matter how nice the gym in Windsor Court is. 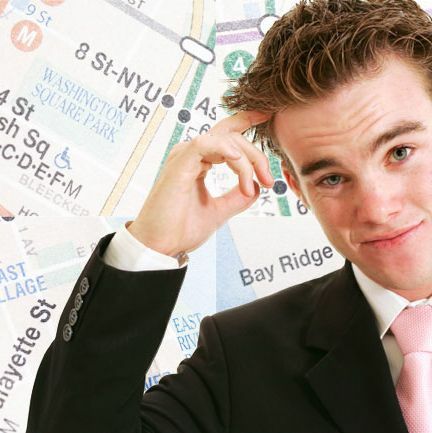 A caveat: If you really, really need to do it, we give you permission to live in Murray Hill this summer, as long as you promise to (a) spend time below 14th Street, and (b) live somewhere else when you come back after graduation. This is your one pass.